From left: Alan Boss (DTM), Barbara Sherwood Lollar (U. Toronto), David Charbonneau (Harvard U. ), and Scott Gaudi (Ohio State U.) present the results of the National Academy of Sciences' Science Strategy Reports on Astrobiology and on Exoplanets on Dec. 13, 2018, at the American Geophysical Union meeting in Washington, D.C. Photo by Natasha Metzler, Carnegie Institution for Science. 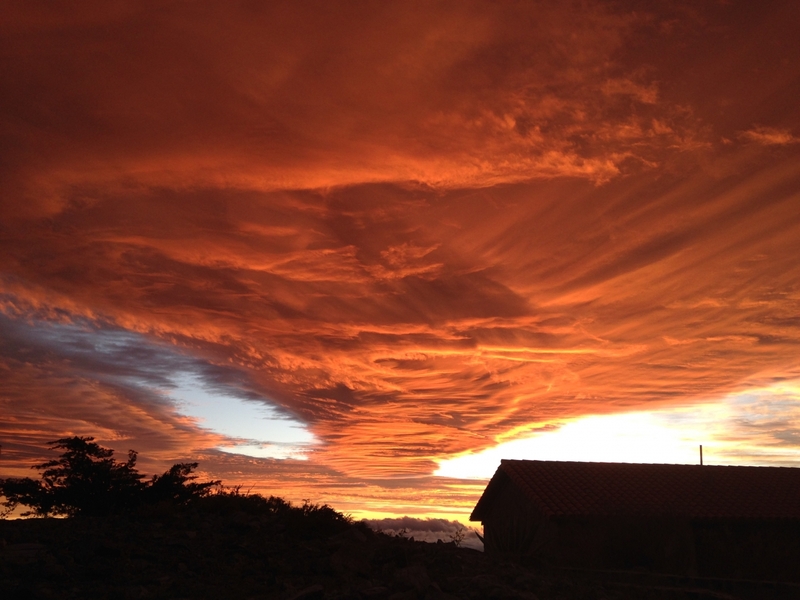 Serge Dieterich, DTM astronomy postdoc shot this view of the sunset at Las Campanas Observatory before a snow storm on August 7, 2015. 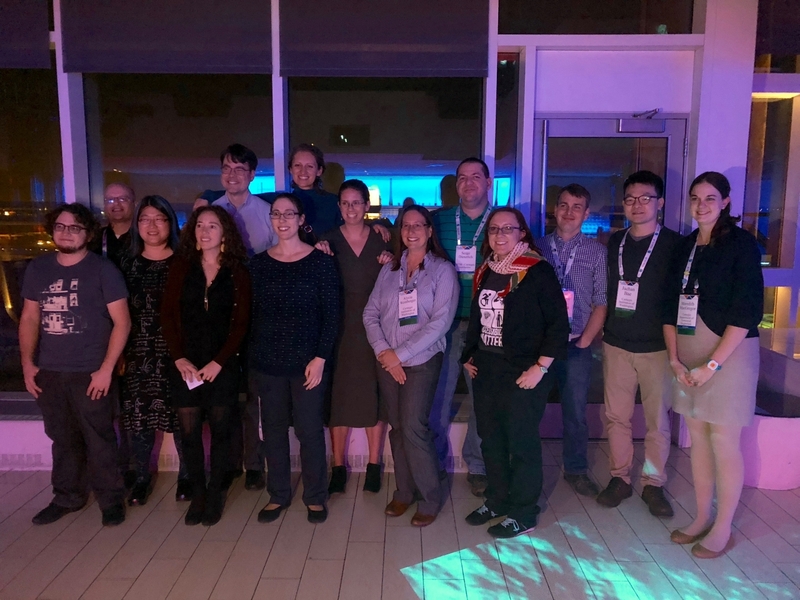 DTM had a good crowd of past and present staff and postdocs at the American Astronomical Society meeting held Jan. 8-12, 2018 at National Harbor, Maryland. Pictured from left: Jonathan Gagné, Chris Stark (NASA Goddard), Hannah Jang-Condell (University of Wyoming), Jackie Faherty (AMNH), John Debes (STScI), Joleen Carlberg (STScI), Evgenya Shkolnik (ASU), Johanna Teske, Alycia Weinberger, Serge Dieterich, Alicia Aarnio (former undergraduate intern now at UC Boulder), Andrew Benson (Observatories staff member), Jaehan Bae, and Meredith MacGregor. 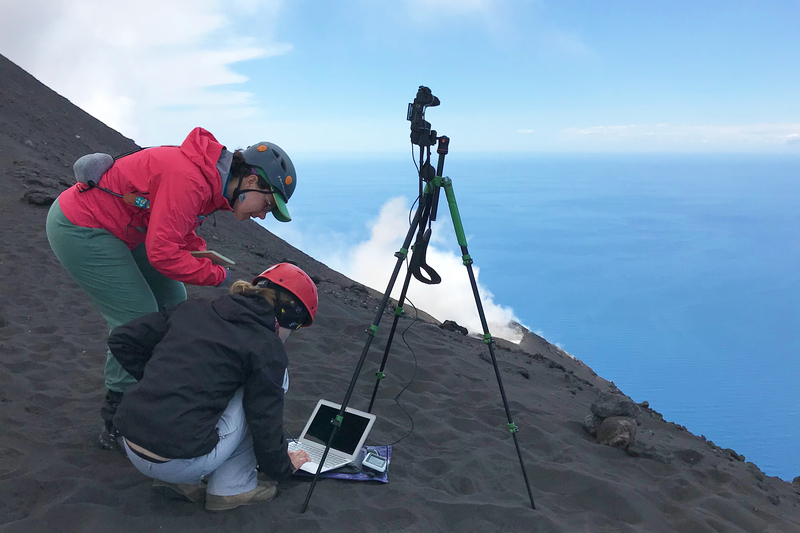 Kathleen McKee and Valeria Cigala setting up a Forward Looking Infrared (FLIR) camera at Stromboli Volcano, Italy. Photo by Diana Roman, DTM. Read more. 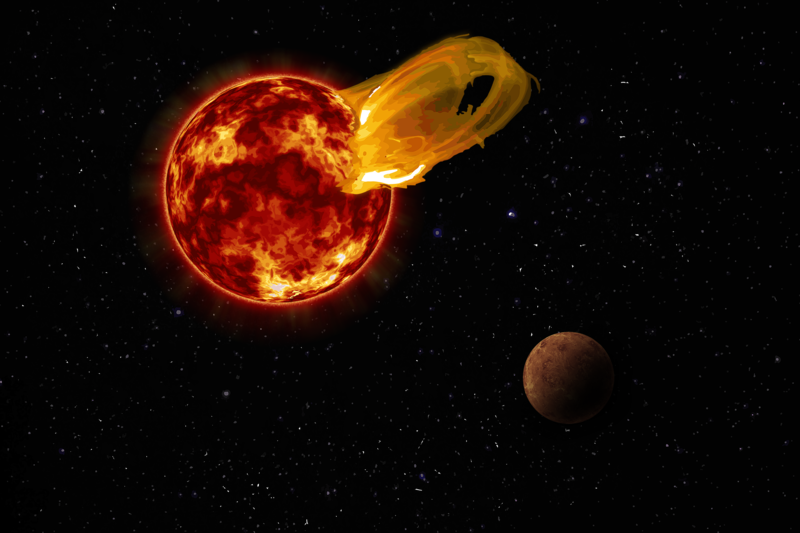 An artist's impression of a flare from Proxima Centauri, modeled after the loops of glowing hot gas seen in the largest solar flares. An artist's impression of the exoplanet Proxima b is shown in the foreground. Proxima b orbits its star 20 times closer than the Earth orbits the Sun. A flare 10 times larger than a major solar flare would blast Proxima b with 4,000 times more radiation than the Earth gets from our Sun's flares. Credit: Roberto Molar Candanosa / Carnegie Institution for Science, NASA/SDO, NASA/JPL. Read More.